Real-world evidence of the effectiveness, safety and value of new healthcare interventions is increasingly required throughout their life cycle. Our mix of academic, consultancy, payer and industry experience and our unique approach to HealthScience enables us to guide comprehensive real-world and epidemiology programmes. 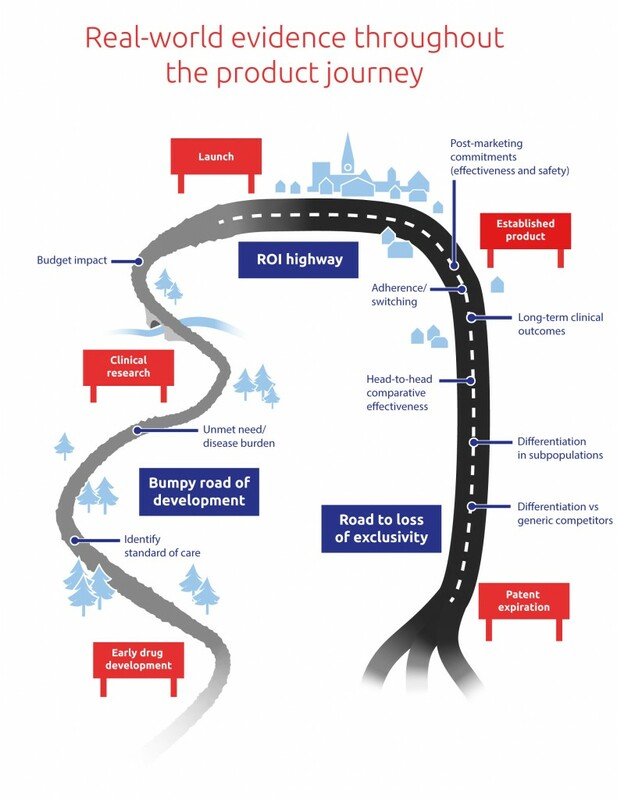 Whether your evidence requirement is to support marketing authorization, benefit–risk assessment, value demonstration or commercial planning, Oxford PharmaGenesis will ensure that you generate and communicate robust, compelling real-world evidence to shape the decisions that influence product approval, reimbursement and uptake. Bousquet J, Winchester C, Papi A et al. Inhaled corticosteroid/long-acting β₂-agonist combination therapy for asthma: attitudes of specialists in Europe. Int Arch Allergy Immunol 2012;157:303−10. El-Serag HB, Sweet S, Winchester CC, Dent J. Update on the epidemiology of gastro-oesophageal reflux disease: a systematic review. Gut 2014;63:871–80. García Rodríguez L, Garbe E, Bezemer I et al. Development of a collaborative European post-authorization safety study (PASS) program examining rivaroxaban use in routine clinical practice. Pharmacoepidemiol Drug Saf 2014;23(Suppl 1):459. Lip GY, Brechin CM, Lane DA. The global burden of atrial fibrillation and stroke: a systematic review of the epidemiology of atrial fibrillation in regions outside North America and Europe. Chest 2012;142:1489–98. Liu FX, Rutherford P, Smoyer-Tomic K, Prichard S, Laplante S. A global overview of renal registries: a systematic review. BMC Nephrol 2015;16:31. Parasuraman B, Tomic KS, Winchester CC, Westergaard M, Johansson S. From clinical trial to real-world evidence: a systematic approach to identifying data sources for observational research. Value Health 2013;16:A583–4 [abstract PRM51]. Smoyer-Tomic KE, Young KC, Winchester C. Identifying real-world data for observational studies: a systematic approach. Value Health 2014;17:A189 [abstract PRM48].